This glorious beetroot salad recipe from Jeremy Lee makes a punchy starter or works equally well scaled up as a light lunch. 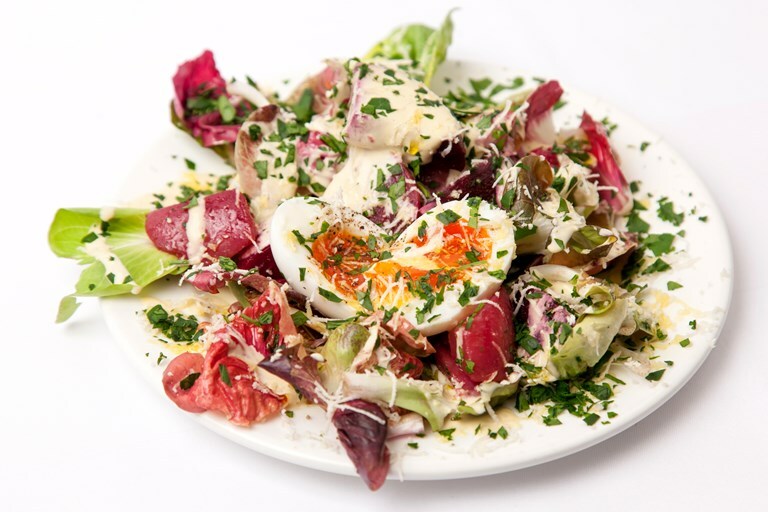 A stunning combination of colours, textures and flavours, the chef pairs a vibrant variety of pickled beetroot with a creamy Dijon dressing, soft boiled eggs and a final fiery hit of grated horseradish. The pickled beetroot can be prepared a day or two in advance to save preparation time and any leftovers will keep in the fridge for up to a week.